As a pretty new TV watcher – meaning, someone who keeps up with live TV, knows what shows are new every season and knows what shows have cancelled – this was only the second season where I had a lineup of shows ready to fill up space and frustrate me on my DVR. There’s the new 30-minute sitcoms starring a slew of people you’d forgotten about and that temporarily make you forget about things you were mourning (i.e. Go On, Trophy Wife). There are the dramas, the murders, the scaries and the HBO shows that you know will make your grip your head in agony over how screwed up their (addicting) plot lines are, or at how you’ll have to wait a whole year to watch the next season. The good thing is that Mike was on board for everything I was, so at least we weren’t battling for spots. Our only battle now is a rule that we can’t watch without the other, which sometimes makes me regret my pre-season enthusiasm. And when I make plans at night. About a month in, here’s the deal: There are some serious disappointments out there. But there are some quirky hits that just might make it through the holidays. What I can say, overall, is that we haven’t resorted to our On Demand viewing of Boardwalk Empire since it started. Not that Nucky is without us forever – we’ll never forget that summer. And, we’ll probably be watching that again on repeat when we have a baby and no new shows until the end of January. Selfie and Manahattan Love Story | These two were high on my list for the fall season. I was ready to replace New Girl after their two-season struggle (thank goodness this season seems to be headed back on track), and desperately needed more 30-minuters after the unruly massacre of my aforementioned favorites. Unfortunately, Selfie (even with John Cho) can’t get me stirring. I am still watching it, but I’ve got no ties. MLS may be a different story. The audible thought bubbles I love, the actual dialogue I don’t. So, we’ll see if they can synch up. 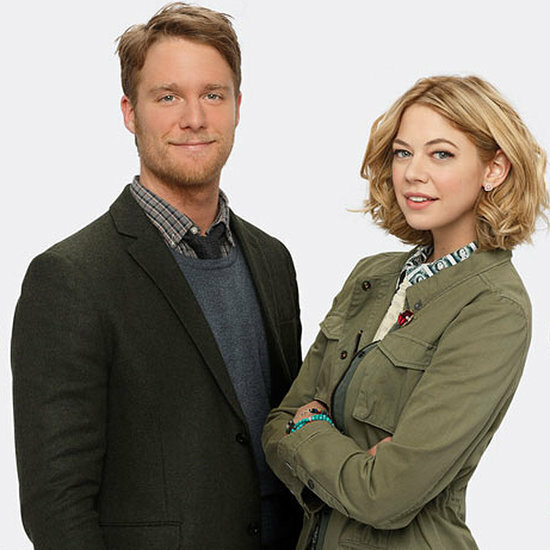 After three episodes, I think I’m in – how could you not be with such an adorable pair of leads? I think the answer lies in what happens to most ABC comedies – sigh. 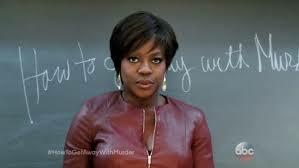 How to Get Away with Murder | A+, teach! At first episode, it was love for us. The fast-paced, rough cut filming style keeps it moving (at least, it seems that way). The characters are young, fresh and seemingly naive (we love naive!). Viola is straight up scary. I would never survive law school. Some of it may be predictable, but so far, I am overlooking that with nothing but anticipation for next week. 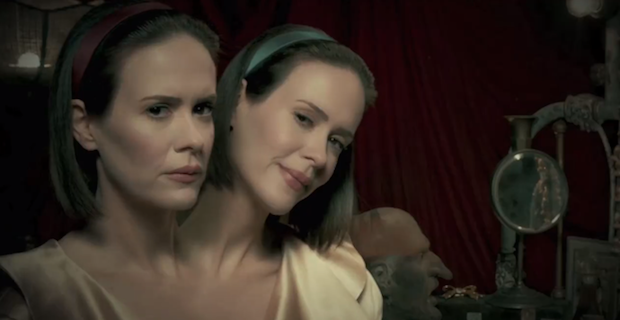 American Horror Story, Freakshow | Hmm. Now, look. Mike and I didn’t watch Season 1 or 2, so we came into the franchise as newbies. But, we freaking loved Coven. The dark and twisted sorcery mixed with the historical fables of New Orleans was the perfect recipe for us to watch in revery every single week. But this season? It’s grotesque. Not that we’re saying that’s a bad thing, but it’s really, really grotesque. My jury is still out. I don’t think Mike even came to court… #clowns. Franklin & Bash | Mike refuses to admit it, but his lack of laughter gives away his feelings too – it’s just not as good this season. I mean, I’ll be the first to admit it was probably never really good, but we fell under the Zack Morris spell, got a huge kick out of the first couple seasons and have it automatically recording on our DVR. You can’t just quit a show you’ve invested a lot of time into, and that’s why we’re still watching… still waiting… still hoping for the breakout episode that makes it something we’re proud to tell people we watch… and love. Worst new reality show? Manzo’d with Children. You may roll your eyes at the drama of Real Housewives of New Jersey, but it’s a steak dinner compared to the rice water of this spin off. We’re still ALL about The Bridge, still (good) crying over Modern Family and just finished one of those head-in-a-vice HBO seasons with The Leftovers. Anyone else have new fall favorites? Or failures? We’ve maybe got another show’s worth of space on the DVR – so keep the recommendations coming. In the meantime, happy couch time.